WASHINGTON — A decision to form a Space Corps as a separate military department is on hold pending an independent study that is now under way. Meanwhile, another legislative push is ramping up to give space forces more autonomy than they currently have under the U.S. Air Force. This is the same provision that was inserted into last year’s NDAA but was removed in 11th hour negotiations. “I’m not surprised that they included this in the bill again,” said Todd Harrison, director of the Aerospace Security Project at the Center for Strategic and International Studies. “Establishing U.S. Space Command as a sub-unified command elevates space operations on par with Cyber Command, which is something the HASC has been advocating,” Harrison told SpaceNews. Loverro, who has advised Rogers on space issues for the past two years, said the desire to create a sub-unified command has been there for some time although the debate last year was overshadowed by the Space Corps language. A push for joint space warfighting was the reason Gen. Jay Raymond, commander of Air Force Space Command last year was made “Joint Force Space Component Commander” under U.S. Strategic Command, led by Gen. John Hyten. 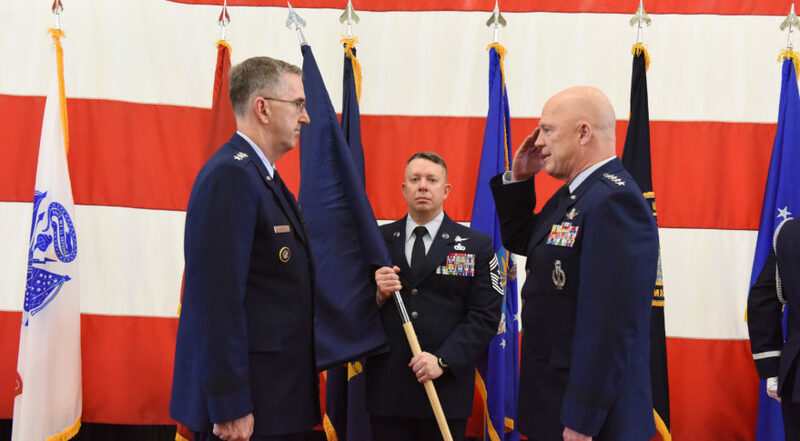 Raymond in December became dual-hatted as both commander of Air Force Space Command and Joint Forces Space Component Commander. As commander of Air Force Space Command he reports through Air Force channels and as the Joint Force Space Component Commander he reports through operational channels to Hyten. In the dual role, Raymond is responsible for organizing, training and equipping Air Force space forces and executing operational command and control of joint space forces. This is a similar structure to other combatant commands such as U.S. Central Command, where there is an air component commander, land component commander, and maritime component commander responsible for operations and assigned forces in each of those domains. In the FY-19 NDAA, Rogers also is calling for the establishment of a new numbered air force, responsible for carrying out space warfighting operations. Although the Space Corps argument has not been settled, these new proposals in the NDAA show that lawmakers are “trying to wall off space within the Air Force. They are trying to make space ‘special’ within the Air Force,” said Loverro. U.S. Strategic Command spokesman Maj. Brian Maguire said the subcommittee mark to establish a sub-unified command for space would mirror the current structure of U.S. Cyber Command. “Until U.S. Cyber Command becomes a combatant command, they are a sub-unified command under U.S. Strategic Command,” Maguire said in a statement to SpaceNews.